Holocaust survivors will gather in four cities across the world Tuesday night to be honored at menorah lighting services for the third night of Hanukkah. The ceremonies are organized by the Conference on Jewish Material Claims Against Germany, and are also the only events specifically dedicated to the 400,000 holocaust survivors worldwide who are still living. “There’s an urgency to honor them, listen to their experiences, recognize their suffering and raise awareness about Holocaust remembrance,” said JMCAG president Julius Berman, according to The Associated Press. Holocaust survivor and former head of Germany’s Central Council of Jews Charlotte Knobloch urged “the global community to remember those who were murdered and commemorate survivors.” Knobloch will be attending the ceremony in Berlin. 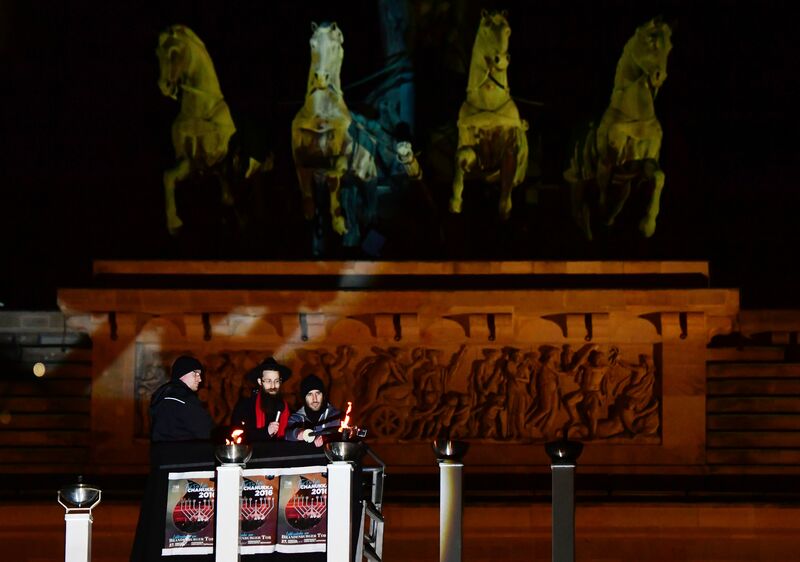 The event comes amid a global resurgence of antisemitism that has terrorized Jewish citizens in the U.S., France, Germany, and elsewhere throughout Europe.